Bill O’Brien is the highly respected and acclaimed American football coach whose career began in 1993. To date, he has managed to earn a whole lot of accolades and recognition for himself including; the Big Ten Coach of the Year Award, the Paul “Bear” Bryant Award, the Maxwell Coach of the Year Award, and the AT&T-ESPN Coach of the Year Awards, all in one Year! Bill is admired for his contributions as the head coach of the Penn State Nittany Lions. As at the time of this writing, he serves as the head coach of the Houston Texans of the National Football League (NFL). Here are more interesting facts about his life and career. Bill O’Brien was born William James O’Brien to John O’Brien and Anne Murphy O’Brien, in Dorchester, Massachusetts on the 23rd of October 1969. He was born into a football family as both his father and grandfather played the game. It is said that Bill and his immediate elder brother Tom grew up playing football. After he finished from St. John’s Preparatory School in Danvers, Bill attended Brown University in Providence, Rhode Island, where he served as a defensive end and linebacker for the Brown Bears from 1990 to 1992. Bill is the youngest of his three brothers and they all graduated from Brown University. The first experience Bill O’Brien had as a coach was with his Alma mater, the Brown Bears. While he was there, he managed the tight ends and inside linebackers between 1993 and 1994 respectively. In the three seasons that followed (1995–1997), Bill O’Brien stayed through it as an offensive graduate assistant at Georgia Tech. From 1998 through to the 2000 season, the Georgia Tech Yellow Jackets had him as a running backs’ coach. In 2002, Bill was hired as Notre Dame’s offensive coordinator. Later, he moved to the University of Maryland where he was the coach for the running backs for a two season period. Thereafter, he became the offensive coordinator for Duke University’s Blue Devils, this was between 2005 and 2006. The New England Patriots hired Bill on the 27th of February 2007 as an offensive assistant and it marked the beginning of his NFL coaching career. He was subsequently promoted to the status of a wide receiver coach on the 21st of February 2008. By the end of the 2008 season, he was made the offensive play-caller and quarterback’s coach. Another promotion came through for him in 2011, he was made the offensive coordinator. 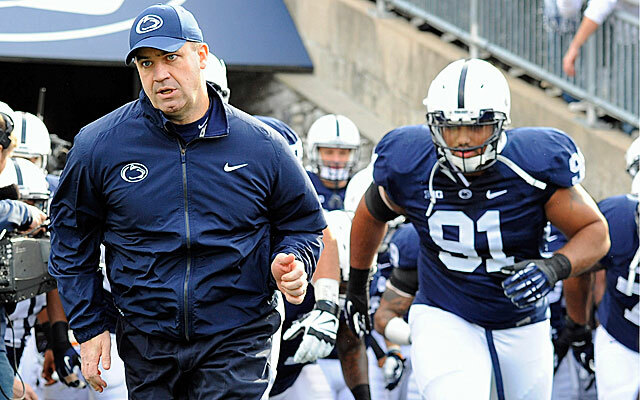 Sometime in January 2012, Bill O’Brien was officially unveiled as the 15th head coach of Penn State. He replaced Joe Paterno, his Brown co-alumni but only served in this capacity for roughly two seasons. The Cleveland Browns and the Philadelphia Eagles came for Bill in January 2013 with the offer of him becoming their head coach but Bill’s heart was still with Penn State, as he stated that he made a commitment to the team that he wanted to keep. However, after Gary Kubiak was fired from the Houston Texans, reports showed that Bill reconsidered going back to the NFL. Discussion for the position of a new head was initiated by the Texans on the 29th of December 2013. By the 2nd of January 2014, Bill was introduced officially as the head coach of the Texans. The first season he had as the head coach saw him and his team miss the playoffs narrowly. The next season was fulfilling but yet disappointing, while the Texans won the AFC South title, they were humiliated by the Kansas City Chiefs. Bill O’Brien braced up for his third season with the side, they again won the AFC South title but were crushed by the New England Patriots who became the Super Bowl champions. Bill’s fourth season with the team is his worst but it didn’t stop him from bagging a four-year contract extension. Bill O’Brien is one of the renowned names from the world of American football. Undeniably, he is one of the highly sought individuals when it comes to NFL coaching. On January 13, 2018, Bill received a four-year deal extension from the Houston Texans. While it is said that the deal made him one of the most paid coaches with his salary pegged at $5 million, it has been claimed that the total value of his wealth sits at over $7 million. 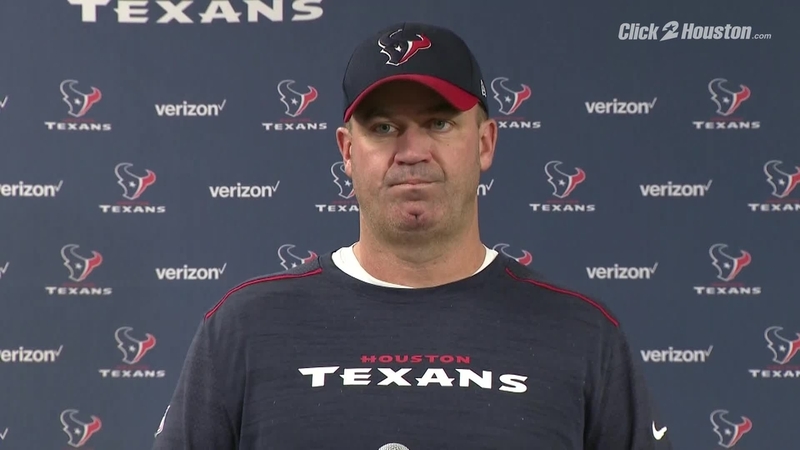 Bill O’Brien is married to a woman who is elegant and beautiful. Her name is Colleen O’Brien. They have been married since the year 1998 and for the last 17 years, they have been together. Collen and Bill have two sons together. Their names are Jack and Michael O’Brien. Unfortunately, his first son Jack has a rare brain disorder called lissencephaly.